The Tranquility product line is the most flexible geothermal technology available today. It is designed with the installer in mind to improve reliability and reduce installed costs. 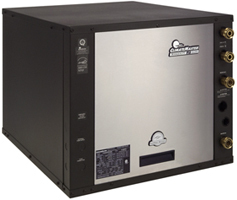 The Tranquility Split can easily be connected to your existing furnace or installed with a new air handler from NextEnergy for quiet, efficient, and economic heating and cooling.